Counties Manukau coach in New Zealand Milton Haig has been appointed as Georgia Head coach replacing Scotland’s Richie Dixon. 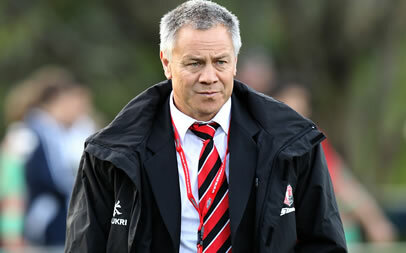 Haig’s fellow New Zealander Chris Gibbes has also been named an assistant coach. New Zealand media reported Thursday that both Haig and Gibbes signed two-year contracts and will take up their new posts in January. Their first tests will be against Ukraine on Feb. 4 and Spain on Feb. 11. Haig, who currently coaches Counties Manukau in the National Provincial Championship, takes over for Scotsman Richie Dixon, who will move into a player development role with the team. Georgia beat Romania 25-9 and narrowly lost to Scotland 15-6 during the squad’s first World Cup in October.